But don’t share it with Trump! 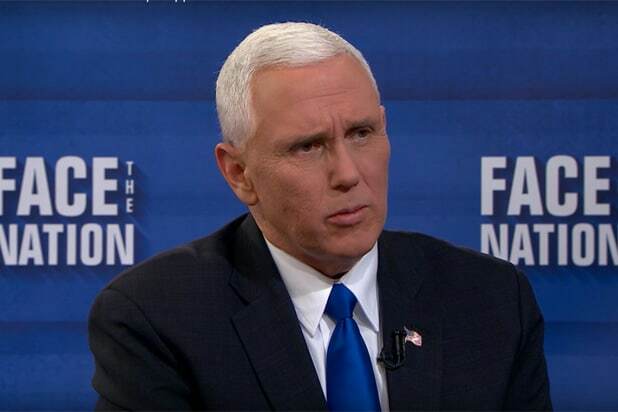 There's been mounting speculation that Mike Pence might stage a run for President in 2020 if Donald Trump is unable to run, but of course the VP has denied that. However, plenty of people were fooled by a fake website declaring Pence the 46th President of the United States -- many of them thinking he'd been hacked. The website, officialmikepence.com, is loaded with jabs at Pence's views on LGBT individuals and the alleged claims that he refers to his wife as "mother." Click through for some of the site's wildest jokes. The main gag is that this is a secret website, with a banner that says "Private Link: Do Not Share," as though it needs to be kept out of view of Trump. 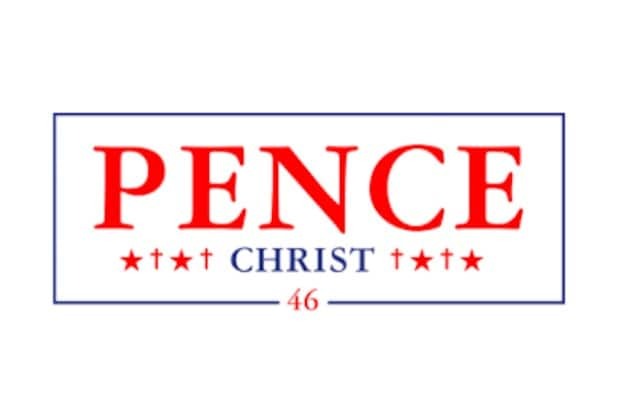 Turns out that Pence's running mate in 2020 is none other than the Son of God himself, "Christ." A fake campaign ad with hilarious smash cuts goes as far as to outright ask you to call him The President of the United States. 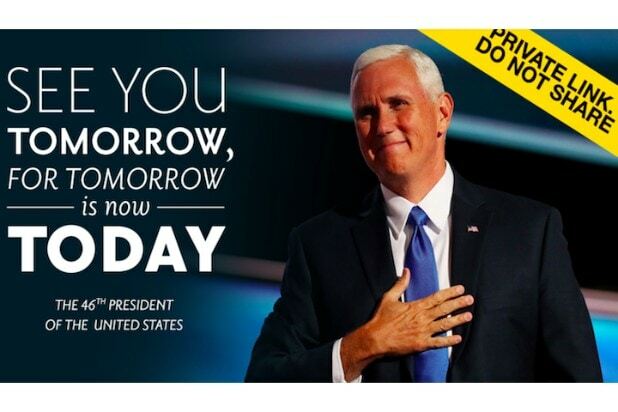 Next to "Mike Facts" with absurdly bland comments like "Mike Pence likes to watch movies" is a banner ad that reads "Number of Gays Who Have Returned to the Lord." Don't forget to read the fine print, which promises a Russian translation coming soon, and a helpful link for those searching for the bodybuilder also named Mike Pence. Pence's "bio" says he's "proud to serve the white and Christian population of America." It even recalls the time he exposed and boycotted Disney's "Mulan" saying women shouldn't be in the military, which is totally real. This disturbing image of five smiling white children calls to "return this country back to its rightful owners." If you really want to get to know the man, check out Pence's "What I Ate" section. Here's a menu sampling: "3 egg whites with mayonnaise vinaigrette, four hard boiled eggs, unbuttered white toast and a corn smoothie." Did you know that Pence's "favorite type of technology is radio" and that he can "play all of 'Joker' by Steve Miller Band on guitar except the slide part after 'Some people call me Maurice?'" Now you do. In the "Mother May I" tab, Pence's wife Karen answers questions from "the community," a.k.a. Pence himself. Pro tip: You're not allowed to eat alone with a woman other than your wife. A helpful banner ad asking if you're a homosexual takes you "straight" to hell.com. As President, Pence promises to deport "Italians, Jewish Persons, All mirrors in women's bathrooms, and men wearing boxer briefs." The issues matter to Pence. His belief: "Corn is our country, and our country is corn." Don't forget to stop at the Official Mike Pence store, where you can pick up an autographed copy of the Bible, Vasoline for the corner of your mouth, and a $72 "Shame Cube" to wear over your head.